What is the Kids-CAT study? The Kids-CAT project is a study funded by the Federal Ministry of Education and Research (Bundesministerium für Bildung und Forschung; BMBF) in Germany. The aim is to survey the Health-Related Quality of Life (HRQoL) in children and adolescents. Using a new and innovative computer-based survey, the study gathers information about the physical and psychological wellbeing of healthy and chronically ill children and adolescents. An important concern of the Kids-CAT project is to see whether the study is applicable and useful as a routine tool in the public health sector. Additionally, the study analyses the influences of questioning chronically ill children and adolescents in regards to patient care, e. g. the influences on the relationship of patients and physicians. Moreover, the collected data should give insight to the question of how chronically ill children and adolescents think and feel about their condition and how they cope with their illness. We then compare this data to healthy students in the metropolitan area of Hamburg, Germany. 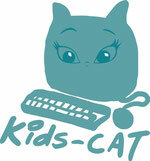 The Kids-CAT study has started in 2012 and is planned to last until 2015. The study is conducted at locations in Kiel and Lübeck and at ten schools around Hamburg. At the university medical center of Schleswig-Holstein in Kiel and Lübeck the study surveys children and adolescents with asthma, diabetes and rheumatism over a period of six months. The survey is conducted by the study coordinator and the physicians on site and is scheduled to take place on three different dates. The first date marks the beginning of the survey and follow-ups will be conducted after three and six months. One questionnaire takes about 30 minutes to complete. Parents also receive a questionnaire. In addition to the questionnaire at the medical center, young patients and their parents are asked to complete a short follow-up survey at home once a month. How is the privacy of the participants protected? The study has been approved by the Chamber of Psychotherapists in Hamburg as well as the Ethic-Commissions in Kiel and Lübeck. The participation of the children, adolescents and parents in the survey is voluntary and the ethical guidelines and data protection rules are strictly adhered to. The gathered data and personal notes are kept anonymously in every step of the survey and the results of the research will only show anonymous data as well. Every person involved in conducting the study is bound to strict confidentiality and has to comply with the rules of data protection. After the survey phase researchers will evaluate the anonymous data and publish the findings. The study is conducted by the research division “Child Public Health” of the University Medical Center Hamburg-Eppendorf and the University Medical Center Schleswig-Holstein. The latter is located in Kiel and Lübeck. Prof. Matthias Rose of the Charité, University Medical Center Berlin, Medical Clinic for Psychosomatics, is responsible for developing the computer-based survey.